I love to cook. I love food, pictures of food, recipes, cooking shows, food magazines...you name it. I love it. 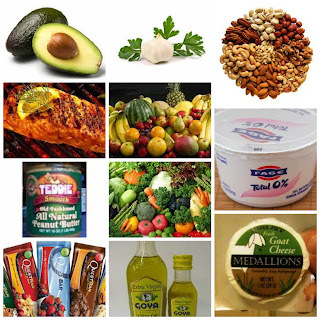 I'm intrigued by what others like to eat, and often try other foods based on suggestions. But, recommendations aside, I am still a creature of habit, and I rely on certain staples to get me through the week. Open our fridge any day and you can find most of the same foods there every week. We try to eat clean most days, but we still have our beloved pizza and wine night and we eat out probably much more than we should. summer squashes in season, steamed, cooked with onion or grilled. We also mix up meat and fish, but our go-to tends to be wild salmon, haddock and whatever meat looks good that week. My husband has an unnatural love for sardines in oil, so there's always a cache of cans stacked in the cabinet, sitting next to my bland white tuna in water. 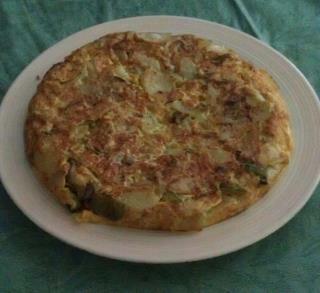 And there's always eggs...we can't have Tortilla Española without them. But there's also egg beaters, for me when I mix up a protein pancake and can't bear to throw away good yolks. As for grains, we go for whole wheat pasta, and I have tried those tofu "Shiritaki" noodles...SO not the real thing. I like quinoa, but my husband does not. Occasionally, we have rice, but it's usually to use up the leftover caldo/broth from the guiso. And if there's leftover rice...another tortilla. For the most part, I tend to be brand loyal and have my favorites, for sure. In addition, because I live in a Latin household, bread is non-negotiable, but we always go for 100% whole wheat. Occasionally, I throw in a low-carb wrap that I spread with hummus. But I also am a snacker, much to my dismay, so in addition to the nuts and fruit and cheese, I like a little Go-Lean Crunch, usually with my Greek yogurt. Missing from the collage, but always a staple in our house, is a low-carb, low-sugar protein powder, Simply Smart skim milk or unsweetened vanilla almond milk, and a few Torani or Da Vinci sugar free syrups for mixing in variety with the protein shakes. 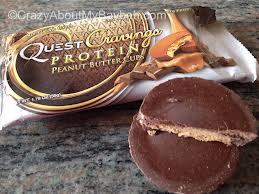 Quest Cravings Peanut Butter Cups...not really a sweet indulgence, but a beloved indulgence for me in my quest to eat clean. They are divine! 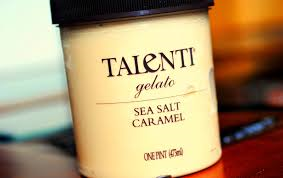 Talenti Salted Caramel Gelato, just because. PB2--Here's a tip. Slice a banana and throw the pieces in a ziplock bag. Add 1-2 tablespoons of PB2 and shake it up. So. Good!!! Maybe someday I will muster the courage to blog about what I cook, but in the meantime, a post about the food that makes me smile will have to do. What's in your fridge? What are your go-to items? Inspire me. 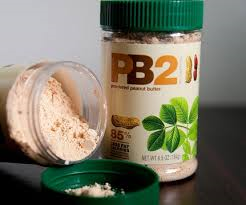 Love PB2!! Thank you for linking up with us at the collective blog hop. Love your blog. 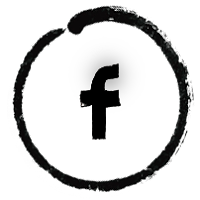 Followed and liked all you social media! And following you on GFC. Hope you do the same I would love to have you. :) It's so nice to meet such awesome bloggers! Welcome, Cayli! I just picked up the chocolate PB2 as well. I've heard good things about it. I already love the original PB2, so the chocolate one should be good too. I'm thrilled that you're here. Heading over to your blog now. :-) I hope you come back again soon. Aloha! Thanks so much. I will head over there now. I hope I'm not too late. Cheers! Happy weekend! 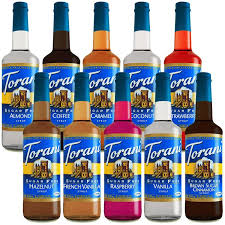 Thanks so much for posting this...I will have to look for these Torani or Da Vinci sugar free syrups and the Quest Cravings Peanut Butter Cups..since I am low-carb. We always have lettuce and veggies in our fridge. Greek yogurt to eat and make smoothies with. Frozen berries in our freezer. Lots of chicken, steak, beef patties and seafood as well. I have searched the web and made a book of low-carb recipes so if you are ever interested in some, I can begin posting them on my blog. I tried a bunch back in the winter time and most of them were really good. That Sangria looks heavenly! 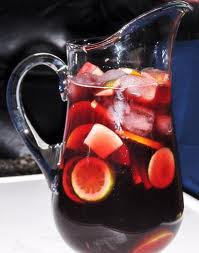 OMG that sangria looks so amazing!! I'm your latest follower from the Aloha Friday Bloghop. My fridge is not as healthy as yours though and including a decapitated (chocolate) rabbit! I assure you that my fridge will not give you any inspiration because I'm the to-go queen. But your fridge is like my sister's and one thing she always has in her firdge/pantry is onion dip. Not kidding. We dip chips in them every time we visit.